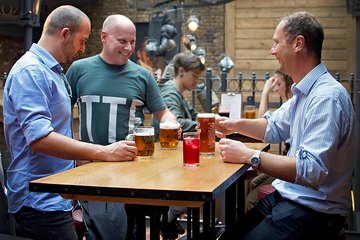 Discover London’s thriving brewery scene on a private 3-hour beer tour around the city. Follow your guide to the British capital's popular microbreweries and historic pubs in the City and Shoreditch neighborhoods. Taste a total of six beers, including IPAs, ales, and craft brews. Satisfy your hunger with a artisan meat and cheese platter, which can easily be swapped for a vegan or vegetarian alternative.